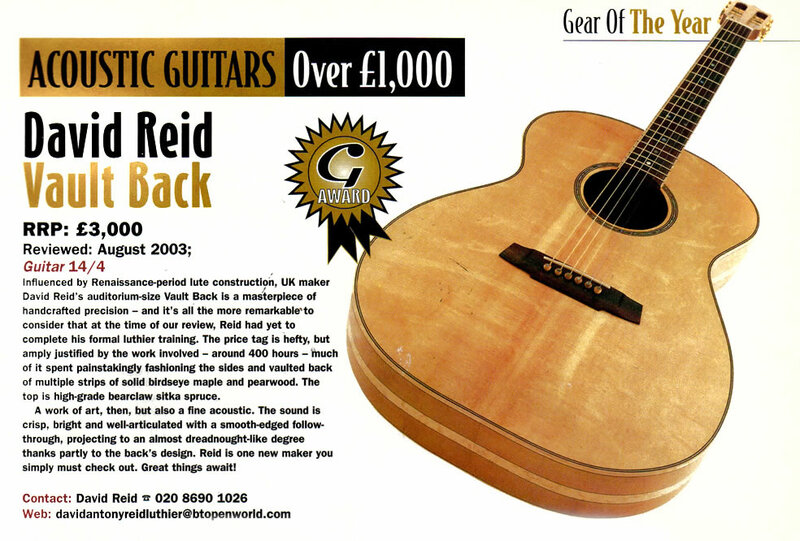 Influenced by Renaissance-period lute construction, UK maker David Reid’s auditorium-size Vault Back is a masterpiece of handcrafted precision – and it’s all the more remarkable to consider that at the time of our review, Reid had yet to complete his formal luthier training. The price tag is hefty, but amply justified by the work involved – around 400 hours – much of it spent painstakingly fashioning the sides and vaulted bacIk of multiple strips of solid Birdseye maple and pearwood. The top is high grade bearclaw Sitka spruce. 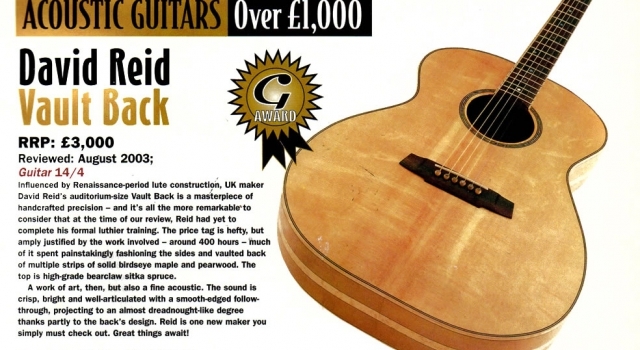 A work of art, then, but also a fine acoustic. The sound is crisp, bright and well-articulated with a smooth-edged follow-through, projecting to an almost dreadnought-like degree thanks partly to the back’s design. Reid is one maker you simply must check out. Great things await!